Sorrel is a name applied pretty indiscriminately to any plant that has acid tasting leaves. Most sorrels are 'sour docks' - rumex species, but wood sorrel is an oxalis, unrelated to the rumexes. There are several wild rumex sorrels, all of which are edible and of reasonable texture. 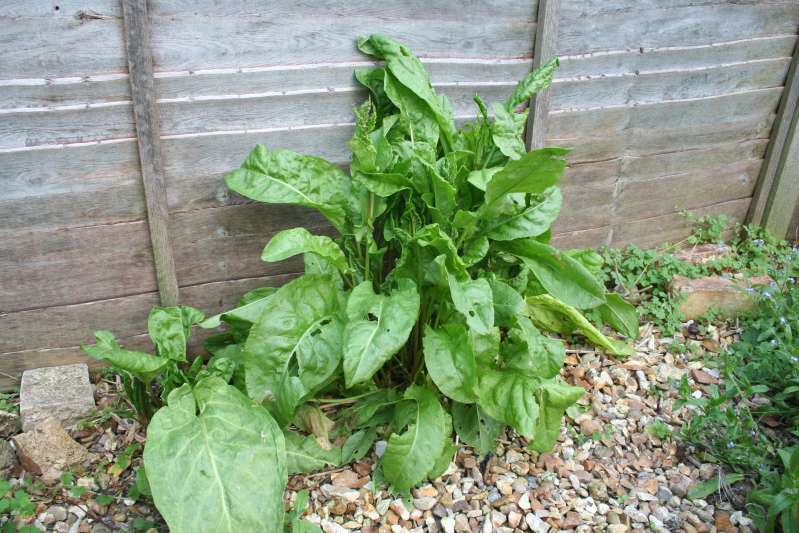 However sorrel has long been in cultivation and the photographs show the two commonest plants, both are in cultivation. Garden sorrel, the cultivated form of rumex acetosa, is far more succulent than its wild ancestor, as you might expect, and has much bigger leaves. The very young flowering stalks are also of good texture and add crunch to a salad as well as sourness. Using the young peduncles like this also extends cropping life, as almost all plants deteriorate (or get tougher) after flowering. This is an excellent salad plant for early spring as it can get started quite early in the year. The first photo below was taken 10th May 2008 and this plant is already throwing up flowering spikes. We had been cropping it for several weeks. It's well worth growing! 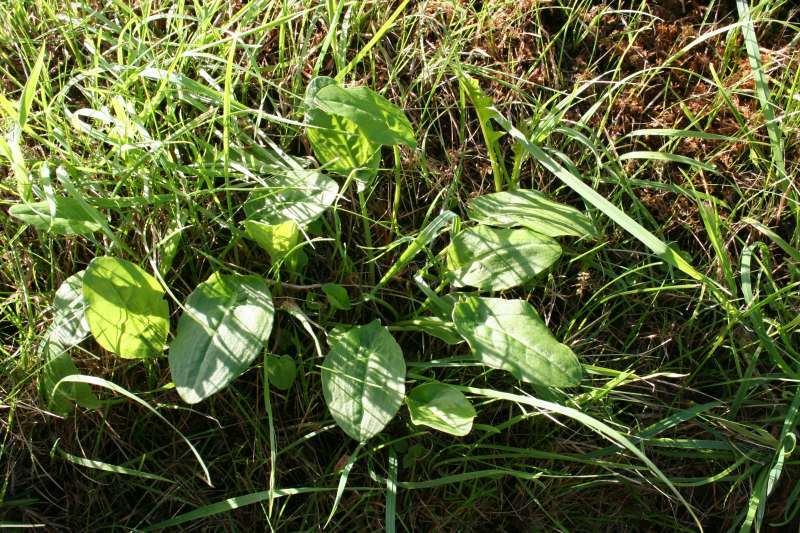 For comparison, the last photo is of the wild sorrel. This one photographed August 12th 2008 at Wooton Fitzpaine in Dorset. It was growing on the roadside bank, near the church. French or buckler leaf sorrel is not a British native but has escaped from cultivation and naturalised in places, so it's not common. If you want it, buy seed or a pot. It is more drought tolerant than acetosa but starts growing slightly later. 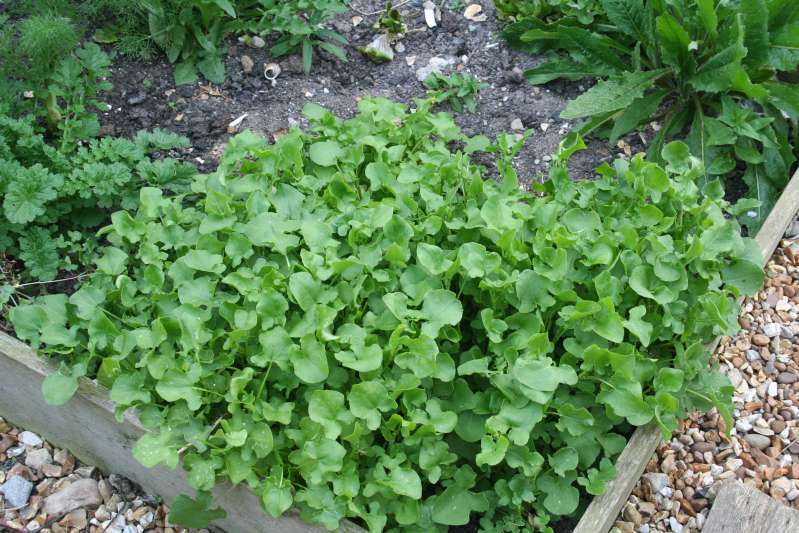 Consequently it has a significantly longer cropping period than garden sorrel. It self seeds easily and has a climbing or spreading habit, so may be used as ground cover or will climb through other plants in a border. The leaves are smaller than acetosa but have the same sorrel taste and are also excellent for salads. Sheep's sorrel is very common. 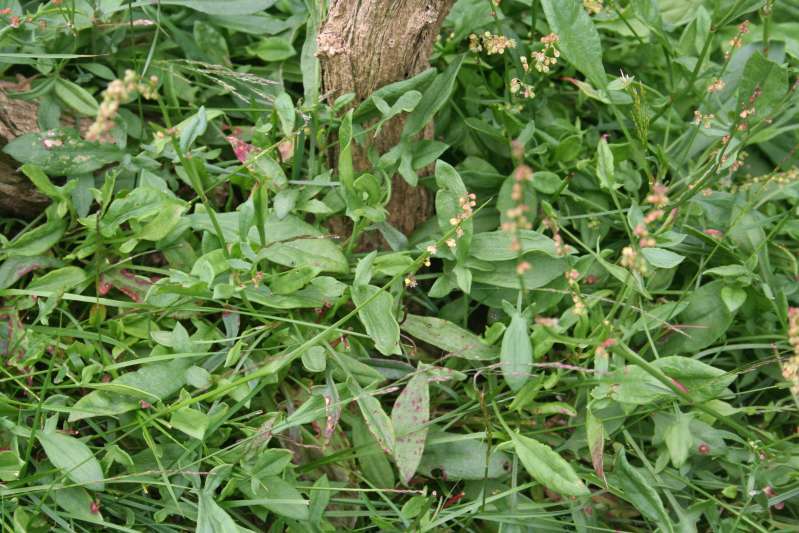 The specimen in the photos below is uncommonly verdant, at least for East Anglia where usually only the red seed heads of sheep's sorrel are evident, forming a red haze over a field. If you look at the base of the seed head, you will find quite tiny, red leaves - stressed because they are too dry. This specimen was photographed June 28th 2008 at Incleborough Hill near Cromer. 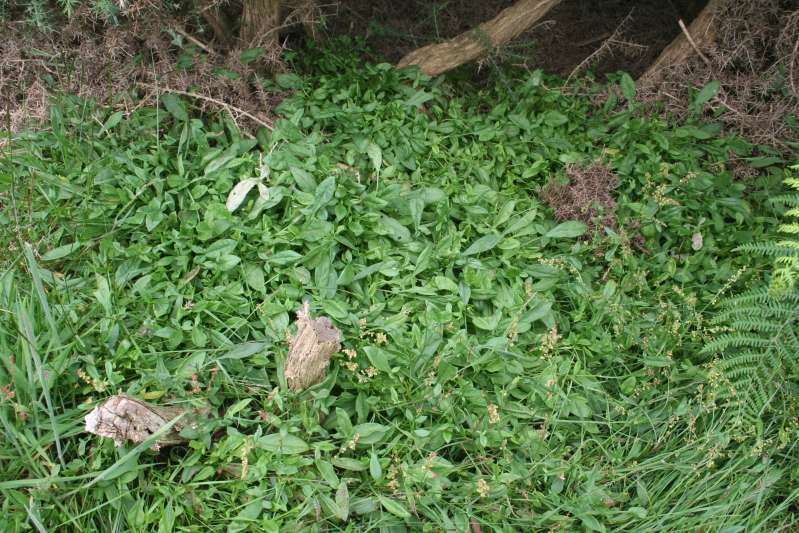 Sheep's sorrrel is edible, but it's not so common to find a specimen worth cropping. All three types can be used in cooking, for sauces etc. Or try a mixture of sorrel with spinach or a spinach substitute such as fat hen, charlock or nettles. Only downside is that cooked sorrel leaves are distinctly brown.